Chris Fisher has hosted 288 Episodes. Mike’s making some big changes to his workflow, and sharing the tools in his box. We’ll look at the transition to Ubuntu Linux for Mike and his dev team, and the productivity advantages they see. Mike and Chris chew on the major problems patent trolls are creating for small and large development shops. Mike discusses the culture clash between the ASP.Net framework diehards, and the recent converts. iOS 7 is landing and Mike and Chris discuss what’s in store for developers, and the real reason to put a 64bit CPU in a cell phone. Plus the core of what’s wrong with Microsoft, practicing security from the start, your emails and more! We’re joined by two gentlemen from dotCloud, the folks behind Docker. We chat about what Docker is best at, how far out the 1.0 release is, the projects use of Go, the future of Docker, and much more. 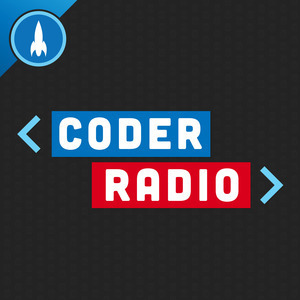 It’s a Monday holiday episode of the Coder Radio show, so we opened up the Skype lines and officially declare this episode a grab bag of topics!